Hello people of the internet!!! On today’s ‘YouTube Wednesday’ we’re going to talk about a song that is very near and dear to our hearts. Yes, people of the internet, we’re talking about the ‘Full House’ theme song. We all know that as soon as you hear the opening lyrics of that song you are going to experience a show that’s funny, quirky, and awesome. With the announcement of ‘Fuller House’, we knew that a new theme song would follow, and guess what…it’s here! Now let’s talk all about the theme song below. Ready? Ok, let’s go!!! The new theme song is a cover of the ‘Full House’ original theme song ‘Everywhere You Look’ by Carly Rae Jepsen (which was performed by singer/songwriter Jesse Frederick). The song definitely has a more modern feel that sets a new tone for ‘Fuller House’. We also get treated to a new verse in the song, which really helps this version feel like its own theme. So if you haven’t already check out the new theme song, you can hear the song below (and some really cool behind the scenes stuff in the video). Let me know what y’all think in the comment section! All photos and information used in this blog belong to YouTube, Fuller House, Netflix, Netflix US & Canada YouTube Channel, ABC, Andrea Barber, Ashley Olsen, Blake Tuomy-Wilhoi, Bob Saget, Bonnie Bogard Maier, Candace Cameron, Dave Coulier, Dennis Rinsler, Don Van Atta, Dylan Tuomy-Wilhoit, family.independent.co.uk, James O’Keefe, Jeff Franklin, Jeff Franklin Productions, Jodie Sweetin, John Stamos, Lori Loughlin, Lorimar Television, Lorimar-Telepictures, Marc Warren Mary Kate Olsen, Miller-Boyett Productions, Full House, Robert L. Boyett, Scott Weinger, Thomas L. Miller, Warner Bros. Television Warner Bros. Television Distribution, Jesse Frederick, people.com, Bennett Salvay, all of the businesses, individuals, corporations, and all others involved in the creation, marketing, or execution of Full House and Fuller house, and all companies, individuals, corporations, managers, writers, producers, and/or businesses that should receive credit for anything mentioned in this blog post, and all original owners. I do not own anything in this blog. If any people, corporations, businesses, companies, etc, were not previously given credit for their work, they are given credit now and their previous absence was unintentional. All opinions expressed in this blog are my own. I wrote this blog for entertainment purposes and no copyright infringement is intended. celindareyesblog February 27, 2016 No Comments on YouTube Wednesday: Fuller House brings a new vibe to everyone’s favorite theme song. Category: YouTube Wednesday. Tagged: 2000s, 2016, 80s, 90s, abc, amazing, Andrea Barber, ashley olsen, Bennett Salvay, Blake Tuomy-Wilhoi, bob saget, Bonnie Bogard Maier, Candace Cameron, childhood memeories, Dave Coulier, Dennis Rinsler, Don Van Atta, Dylan Tuomy-Wilhoit, family.independent.co.uk, full house, fuller house, James O'Keefe, Jeff Franklin, Jeff Franklin Productions, Jesse Frederick, Jodie Sweetin, john stamos, Lori Loughlin, Lorimar Television, Lorimar-Telepictures, Marc Warren Mary Kate Olsen, Miller-Boyett Productions, netflix, Netflix US & Canada YouTube Channel, new, nostalgia, people.com, reboot, Robert L. Boyett, Scott Weinger, spinoff, Thomas L. Miller, Warner Bros. Television Warner Bros. Television Distribution, youtube. Hello people of the internet!!! On today’s ‘Monday Memos’ we’re going to talk about the 1st ‘Fuller House’ teaser that was recently released. We previously discussed the ‘6 Things We Want To See in Fuller House’ (you can check out that blog post here: Monday Memos: 6 things we want to see in Fuller House), and I know that we were all super excited to see this teaser (you may now fangirl/fanboy scream…ok that’s enough…seriously please stop freaking out everyone). We didn’t get any new information from this teaser, but it definitely hit you right in the feels. So let’s hop on the nostalgia train and discuss this amazing new teaser & the other information we have on the return of one of TV’s favorite families! Ready? Ok let’s go!!! The video is beautifully shot and features parts of the iconic Tanner house such as the kitchen and living room. It also featured the song ‘The House That Built Me’ by Miranda Lambert throughout the trailer, which really adds to the nostalgic feeling you get from the teaser. Although we don’t get to see any of the Tanner/Fuller family, we do get to hear their voices at the end of the teaser, and we even get some classic ‘Full House’ jokes thrown in there such as uncle Jesse’s obsession regarding his hair, and Joey’s iconic “cut it out” line. 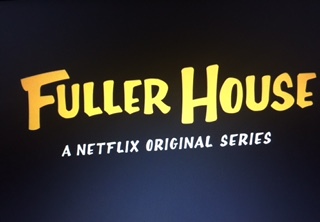 So needless to say this teaser will definitely hit fans of ‘Full House’ in the nostalgia, and will get you excited for what ‘Fuller House’ will bring when it premieres on February 26th, 2016. All photos and information used in this blog belong to YouTube, Fuller House, Netflix, Netflix US & Canada YouTube Channel, ABC, Andrea Barber, Ashley Olsen, Blake Tuomy-Wilhoi, Bob Saget, Bonnie Bogard Maier, Candace Cameron, Dave Coulier, Dennis Rinsler, Don Van Atta, Dylan Tuomy-Wilhoit, family.independent.co.uk, James O’Keefe, Jeff Franklin, Jeff Franklin Productions, Jodie Sweetin, John Stamos, Lori Loughlin, Lorimar Television, Lorimar-Telepictures, Marc Warren Mary Kate Olsen, Miller-Boyett Productions, Full House, Robert L. Boyett, Scott Weinger, Thomas L. Miller, Warner Bros. Television Warner Bros. Television Distribution, The House That Built Me, Miranda Lambert, Sony Music Nashville, Columbia Nashville, Tom Douglas, Allen Shamblin, Frank Liddell, Mike Wrucke, all of the businesses, individuals, corporations, and all others involved in the creation, marketing, or execution of Full House and Fuller house, and all companies, individuals, corporations, managers, writers, producers, and/or businesses that should receive credit for anything mentioned in this blog post, and all original owners. I do not own anything in this blog. If any people, corporations, businesses, companies, etc, were not previously given credit for their work, they are given credit now and their previous absence was unintentional. All opinions expressed in this blog are my own. I wrote this blog for entertainment purposes and no copyright infringement is intended. celindareyesblog December 21, 2015 No Comments on Monday Memos: The Fuller House Teaser Trailer that is bringing back all the feels. Category: Monday Memos. Tagged: 80s, 90s, abc, Allen Shamblin, amazing, Andrea Barber, ashley olsen, Blake Tuomy-Wilhoi, bob saget, Bonnie Bogard Maier, Candace Cameron, childhood, Columbia Nashville, country, Dave Coulier, Dennis Rinsler, Don Van Atta, Dylan Tuomy-Wilhoit, family, family.independent.co.uk, Frank Liddell, full house, fuller house, James O'Keefe, Jeff Franklin, Jeff Franklin Productions, Jodie Sweetin, john stamos, kid, Lori Loughlin, Lorimar Television, Lorimar-Telepictures, Marc Warren Mary Kate Olsen, memories, Mike Wrucke, Miller-Boyett Productions, miranda lambert, music, netflix, Netflix US & Canada YouTube Channel, nostalgia, pop, reboot, Robert L. Boyett, Scott Weinger, show, Sony Music Nashville, spin-off, tanner, the feels, The House That Built Me, Thomas L. Miller, Tom Douglas, tv, Warner Bros. Television Warner Bros. Television Distribution, youtube. Hello people of the Internet!!! 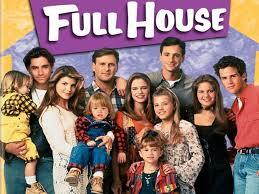 On today’s ‘Monday Memos’ we are going to discuss the revival of one of our fav sitcoms ‘Full House’. Now with this iconic show’s sequel ‘Fuller House’ making its’ way to Netflix next year, I thought that this would be a good time to discuss the ‘6 things we want to see from Fuller House’. Now the only characters that we’re going to talk about in this blog post are DJ (Candace Cameron Bure), Kimmy (Andrea Barber), Stephanie (Jodie Sweetin), uncle Jesse (John Stamos), DJ’s 12 year old son JD, DJ’s 7 year old son Max, and Kimmy’s teenage daughter Ramona (I don’t think that any of the names of the actors playing the kids in this show have been released, and there’s always the possibly that their characters’ name’s might change but this is the info we have so far). The rest of the original cast has not been officially added to ‘Fuller House’, so we’re just gonna work with the characters we know will be in the show at this point. If y’all have any suggestions please comment below! So are y’all ready? Ok, let’s go! 6) Ok, now this show’s plot revolves around DJ who is now a widow with 2 sons, and a baby on the way. She needs help dealing with life, so she asks her best friend Kimmy, and younger sister Stephanie to move in with her to help. We all know that in this scenario, the first thing we’re all going to ask is who did DJ marry? That leads us to another question, which is what happened to Steve (DJ’s boyfriend throughout most of her high school years)? So I think we’re left with 3 opinions here. Either DJ married Steve and he’s dead (which would break our hearts because these two were definitely some of our first OTP aka One True Pairing). Another choice is Steve could leave in/move to DJ’s neighborhood and try to be a friend to her during this hard time, and eventually maybe start pursing a relationship with her. Or, Steve could be married/divorced and come back into DJ’s life as a friend, and she wants to pursue a relationship with him but can’t. No matter what they decide to do with Steve’s character, we definitely need some kind of closure. 5) Another thing that we need to find out is what career DJ chose to pursue. We know that Stephanie is a struggling musician, and I don’t think we know what career Kimmy chose yet (and honestly I couldn’t come up with one so I’m excited to see what happens). I don’t remember DJ having a lot of specific interests outside of writing, and doing school newspaper/yearbook editor type of stuff (if y’all remember more please let me know), so I thought that maybe DJ would be a good TV reporter. DJ was also very cool and a little daring so maybe she could be one of those reporters that goes around reporting on world events like wars, natural disasters, stuff like that. Maybe the show could even have DJ quit her job and start an independent record label with Stephanie (since she’s a musician), and we could see some cool Joey/Jesse type of comedy from the two sisters. 4) Ok, now I think we can all agree that Kimmy was a really fun character, so I’m excited to see what grown up Kimmy will be like. I think that one funny thing that the show could do, would be to have DJ’s kids (specifically her older son because he’s suppose to be the rebellious one), take advantage of Kimmy’s lack of intellect, by getting her to tell him about all of the “bad” stuff DJ and Kimmy did as kids. I think that this could produce some really funny situations, where the kids could use this knowledge for ideas, or ammo against their mom. 3) So far we don’t know anything about Kimmy’s daughter Ramona except her name, so I thought that it would be fun to think about what her character might be like. I think it would be fun if Ramona was a funny, comic relief type of character, but in a completely different way than Kimmy was. I think that it would be cool if Ramona was really smart and had a sarcastic, almost too mature for her age type of personality. This would really be the first time that this series had a character like this, so it could be a fun change. 2) it would be awesome if we had a storyline were DJs son JD gets arrested. Now hear me out for a minute. Full House had a lot of episode that dealt with the issues that kids face such as: peer pressure, drinking, smoking, dating, etc., so this could be an interesting step. I think it would be an interesting story, if JD got arrested for something smallish like shoplifting or very light vandalism, and we got a classic Danny Tanner speech from DJ. It would be a touchy subject, but I think that this show could handle it really well. 1) And of course we need to see an episode that talks about how DJ’s sons are affected by their Dad’s death. This would definitely be a more emotional episode than we’re used to from this franchise, but it would be a really good way to explain how JD (who is said to be very rebellious) and Max (who is said to be very neurotic) ended up the way they are. This would definitely be a very compelling story, which would definitely bring back the tone and writing that made Full House such a success. All credit goes to abc, Andrea Barber, Ashley Olsen, Blake Tuomy-Wilhoi, Bob Saget, Bonnie Bogard Maier, Candace Cameron, Dave Coulier, Dennis Rinsler, Don Van Atta, Dylan Tuomy-Wilhoit, family.independent.co.uk, James O’Keefe, Jeff Franklin, Jeff Franklin Productions, Jodie Sweetin, John Stamos, Lori Loughlin, Lorimar Television, Lorimar-Telepictures, Marc Warren Mary Kate Olsen, Miller-Boyett Productions, Netflix, Robert L. Boyett, Scott Weinger, Thomas L. Miller, Warner Bros. Television Warner Bros. Television Distribution, all of the businesses, individuals, corporations, and all others involved in the creation, marketing, or execution of Full House, and Fuller house, and all companies, individuals, corporations, managers, writers, producers, and/or businesses that should receive credit for anything mentioned in this blog post, and all original owners. I do not own anything in this blog. If any people, corporations, businesses, companies, etc, were not previously given credit for their work, they are given credit now and their previous absence was unintentional. All opinions expressed in this blog are my own. I wrote this blog for entertainment purposes and no copyright infringement is intended. celindareyesblog April 27, 2015 No Comments on Monday Memos: 6 things we want to see in Fuller House. Category: Monday Memos. 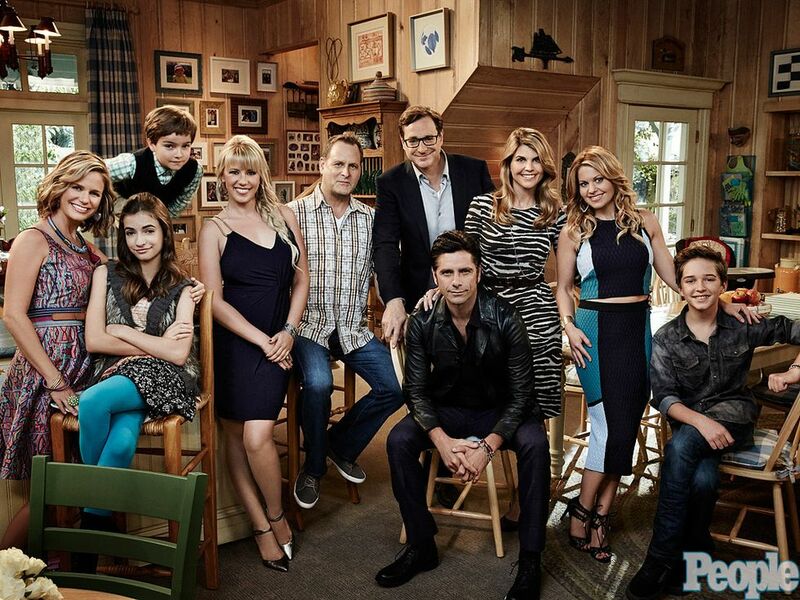 Tagged: abc, Andrea Barber, ashley olsen, Blake Tuomy-Wilhoit, bob saget, Bonnie Bogard Maier, Candace Cameron, Dave Coulier, Dennis Rinsler, Don Van Atta, Dylan Tuomy-Wilhoit, famiky, full house, fuller house, independent.co.uk, James O'Keefe, Jeff Franklin, Jeff Franklin Productions, Jodie Sweetin, john stamos, Lori Loughlin, Lorimar Teleision, Lorimar-Telepictures, Marc Warren, mary kate olsen, Miller-Boyett Productions, netflix, new, Robert L. Boyett, Scott Weinger, show, sitcom, Thomas L. Miller, tv, Warner Bros. Television, Warner Bros. Television Distribution.